Brought to you by BAD!SLAM!NO!BISCUIT! in partnership with the Ainslie and Gorman ArtsCentres, the Salt Room is the poetry and performance night the Australian Capital Territory deserves. Bringing together local, national and international writers and performers it showcases some of the best that poetry can be. For this event we have brought together Amanda Stewart (Sydney), Paul Magee (Canberra), Happy Axe (Canberra) and Zoe Anderson (Canberra). Read below for more information about each of our performers and follow this link for information about the event. Amanda Stewart is a poet, author and vocal artist. She has created a diversity of publications, performances, film and radio works in Australia, Europe, Japan and the US working in literature, music, broadcasting, theatre and new media environments. She also worked full time as a producer/presenter at ABC Radio in Sydney for many years. 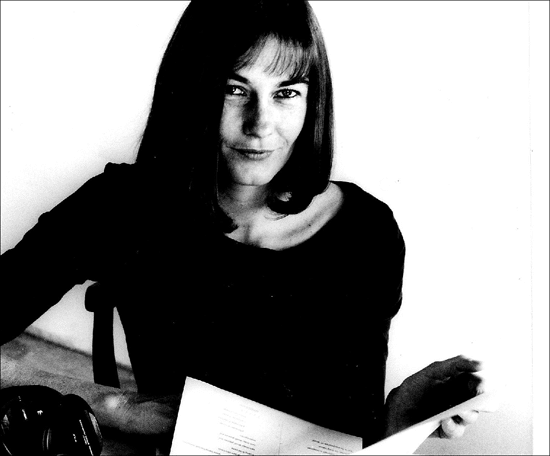 Her book and CD set of selected poems, I/T was shortlisted for the NSW Premier’s Literary Awards and won the Anne Elder Poetry Prize. She is currently working on a solo album for the experimental music label, splitrec and on a new collection of poetry. Paul studied in Melbourne, Moscow, San Salvador and Sydney. He publishes poetry. He has also published extensive scholarship on poetic composition and critical judgement. Paul is a past President of the Cultural Studies Association of Australasia, and active across a number of scholarly fields (his broader CV includes research articles on Marxian thought, psychoanalysis, stagnation, boredom and revolution). His work in poetics is currently most focussed on his role as Chief Investigator on the ARC-funded project Understanding Creative Excellence: A Case Study in Poetry (2013-5), which sees him specialising on the compositional practices and broader sociological millieu of major contemporary North American poets. Paul teaches poetry at the University of Canberra, where he is an Associate Professor. Happy Axe, solo project of Emma Kelly (Mr Fibby, The Ellis Collective, One Night Jam) uses violin, musical saw and vocals to create layers of sound that are beautiful, unsettling and cinematic. Organic instrumental sounds are melded with digital manipulation, looping and effecting, and all sounds are generated live. Zoe Anderson is a sky watcher, bird lover and performance poet. She has featured at the Canberra poetry Slam and at BAD!SLAM!NO!BISCUIT!, created a poetry-play with Raphael Kabo for You Are Here Festival, and kept her very own journal since the age of nine. Her poems can be found in The Stars Like Sand anthology, and in Meniscus journal.